CBM prg Studio Version 3.2.1 is released. There are a lot of new features in this version. I’d really appreciate it if you report any bugs you find or have any suggestions/comments. CBM prg Studio Version 3.2.0 is released. There are a lot of new features in this version. I’d really appreciate it if you report any bugs you find or have any suggestions/comments. NULL added to GenerateTo directive. Some arithmetic problems with variables. Mixing upper/lower case in DATA statements. Wrong load address for some C128 BASIC projects. Better support for Turkish language. Wrong toolbar shown after start-up page. Problems with the build events. New Loader : PC Magazine (FLP) file format support added. 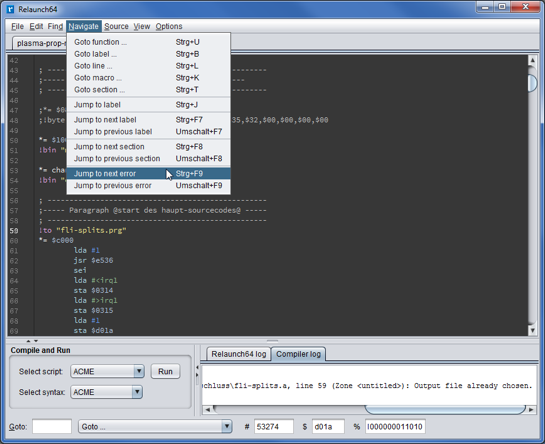 GUI – Track viewer window : Track editing functionality added, internal sanity check added. libhxcfe : Casio FZF loader -> non sector-aligned file image size issue corrected. libhxcfe : Generic flux stream analyzer enhanced – Track encoding & RPM correctly reported. Batch converter : Now use the folder name for the output filename while converting KF stream files (raw). FAT12 Disk Browser: PC98 FAT disk support enhanced, free space reporting corrected. Logical Interchange Format (LIF) 3″1/2 264KB (single side). Logical Interchange Format (LIF) 3″1/2 616KB (double side). Logical Interchange Format (LIF) 3″1/2 1232KB (HD). Logical Interchange Format (LIF) 5″1/4 264KB. CBM prg Studio Version 3.1.0 is released. There are a lot of new features in this version. I’d really appreciate it if you report any bugs you find or have any suggestions/comments. 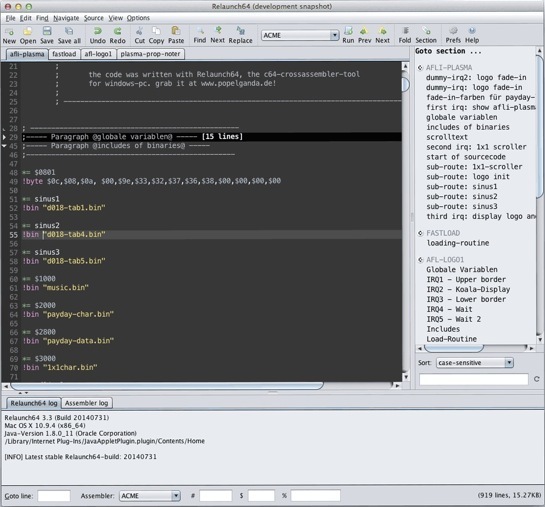 New tutorial for mixing BASIC and machine code. Support for the Plus/4 in the screen code builder tool. Syntax colouring can be disabled. BASIC 8 support for C128 projects. Return to ‘jump to destination’ in basic programs. Zero page optimisation ignored if address contained arithmetic. Arithmetic with cheap labels ignored. Arithmetic would fail if using binary variables. Unknown labels in WORD sequences ignored. Incbin would fail with certain parameters and comments. Problems generating a .prg to a disk image. 1×1 rectangle could throw exception in screen designers box tool. Mixed mode (multicolour and hires) screen designer (VIC20). SBC, ADC and RTI instructions not working. 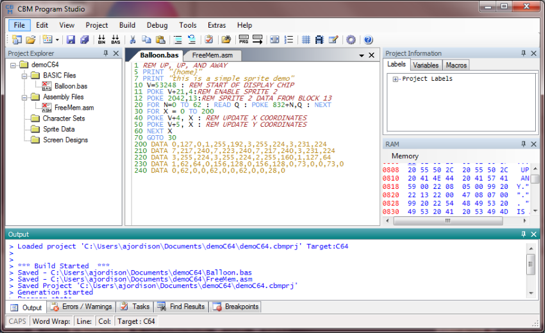 This editor works together with common cross assemblers like Kick Assembler, ACME, or 64tass. Other assemblers might work as well, but syntax highlighting may not be 100% correct. AspeQt is a cross-platform, free and open source Atari 8-bit serial peripheral emulator. 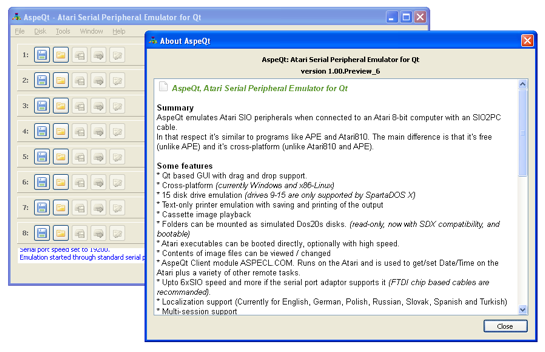 The name is an acronym for Atari serial peripheral emulator for Qt, Qt being the cross-platform application development framework used by AspeQt. AspeQt emulates various Atari 8-bit peripherals like disk drives and printers via an SIO-2-PC cable. If you are familiar with software like Sio2Pc, APE, Atari810, AtariSIO etc., you probably won’t have any problems getting used to AspeQt. Cross-platform GUI with drag and drop support. 15 emulated disk drives with support for 512 bytes per sector disk images. Ability to use PC folders as emulated disks. Disk image explorer for viewing and modifying disk image contents. 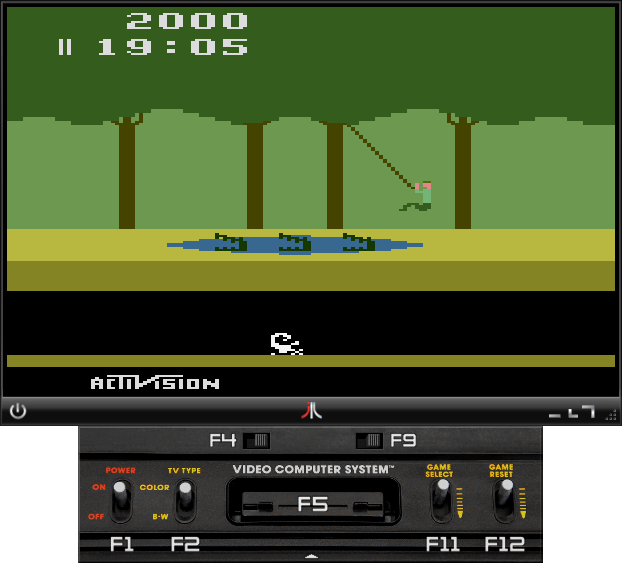 Ability to run Atari executables directly without using disc images and Doses. Printer emulation with preview and ATASCII support. Cassette image playback with custom baud rate. Normal and mini UI modes. Folder images are now emulated in DOS 2.5 disk format rather than DOS 2.0 This gives more unique sector numbers to work with before they are re-used in a circular fashion. Fixed the “Not a binary file” error loading certain executable files. Explorer Window Stay-on-top feature is now user selectable and persistent across sessions. GUI – Track viewer window : New viewer mode -> Disk surface view mode. Raw loader : UKNC Russian computer support added. New Writer : BMP file (Disk/circular layout) -> Disk layout can now be exported into a BMP file (for disk analysis) ! libhxcfe : Correction of the UTF8 path support in some loaders/writers. libhxcfe : Generic flux stream analyzer enhanced. Disk Browser : ADFLib fseek corrected. CBM prg Studio Version 3.0.0 is released. There are a lot of new features in this version. I’d really appreciate it if you report any bugs you find or have any suggestions/comments. Save File As… would only save .bas files. Incbin reporting ‘file too large’ error by mistake. Colour selection for C16 projects didn’t work. Resizable main window for windowed mode. 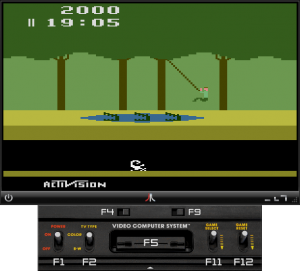 Javatari is a multiplayer Atari 2600 emulator written in pure Java with no external libs. Client-Server multiplayer mode. Runs great in low-latency networks such as LANs. Drag&Drop and Copy&Paste of ROM files or URLs. Very easy to try ROMs from websites! Scanlines and TV screen emulation modes. Real Atari console user interface. 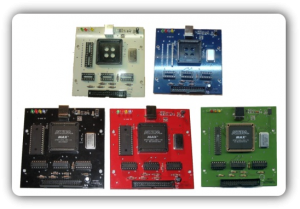 Savestate Cartridges can be distributed and loaded as normal ROMs. 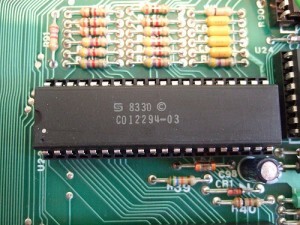 Savestate Cartridges can also be embedded as auto-load ROMs. Support for Starpath/Supercharger Tape ROM format. 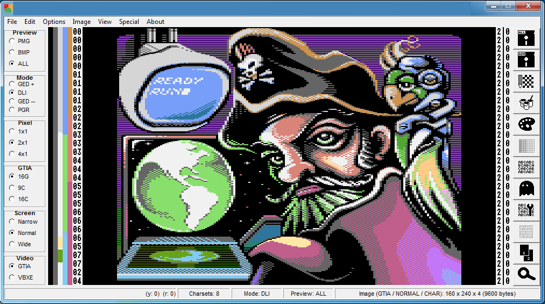 HermIRES it’s a cross-platform hires bitmap (Art Studio 1 format) editor for the Commodore 64. 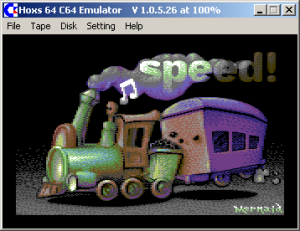 On a real C64 the PAL will blur the screen-content a bit, should check on CRT, or at least VICE emulator’s CRT simulation. Disk Browser : AmigaDOS disk support added ! Amiga Files can be read/write/deleted with the Disk Browser ! New Writer : XML files -> Disk layout can now be exported into XML ! New Loader : XML files -> A disk can be generated from an XML file ! Raw Loader : An XML file can now be used as disk layout ! General : Low level sector reader and track display speed-optimized. MacOS X : Executable now compiled with the “-mmacosx-version-min=10.5″ option -> Leopard,Snow Leopard,Lion,Mountain Lion & Mavericks supported.